For those who have chartered with AYC (or who have taken an Introduction to Power Cruising Course or attended the ASA Certified Sailing School) in either of the previous two years. 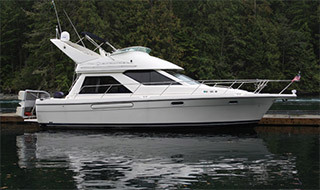 5% Repeat Charterer Discount on charters booked with AYC. 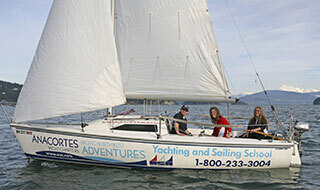 A 10% discount on AYC "Intro to Power Cruising" or "ASA Certified Sailing School" classes. 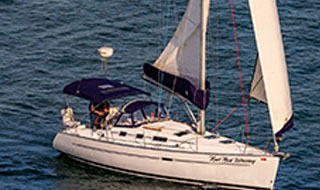 Lifetime Membership - For those who have chartered with AYC five or more times. Priority early check-out time on first day of charter. Sleep Aboards are available upon request and based on availability. You will receive a 10% discount on all regularly priced books, charts, or AYC apparel purchased either online or in our office. Exclusive departure and return day privileges including dock assistant assigned exclusively to you and your charter party as well as refueling at no additional labor charge upon your return. Streamline your departure. 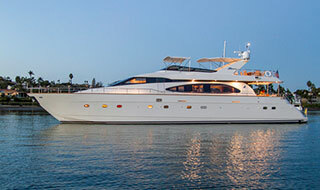 Simply check in with our office staff upon arrival, then proceed to your yacht. No office briefing required. FREE Waggoner Cruising Guide upon booking your charter! Complimentary celebration baskets will accompany your charter.